Figure 1. Zapadni Reef rookery site, with new observation blinds, on St. Paul Island. In response to the recent decline of northern fur seals (Callorhinus ursinus) on the Pribilof Islands, the Alaska Ecosystems Program began a long-term demographics research program, on St. Paul Island in 2007 and on St. George Island in 2009, based primarily on the tagging and re-sighting of fur seals at a few rookeries where it was deemed feasible. The objectives were to estimate age-specific survival and reproductive rates of female northern fur seals to compare with historic rates in order to determine which life-history stage or stages were driving the decline. Only two or three rookery sites offered adequate vantages to obtain re-sightings of tagged seals. We chose the northern end of the Polovina Cliffs rookery on the northeast side of St. Paul Island to begin the tagging program in 2007, and we added the South rookery on St. George Island in 2009. With the addition of elevated blinds, re-sighting became possible at Zapadni Reef rookery on southern St. Paul Island (Fig. 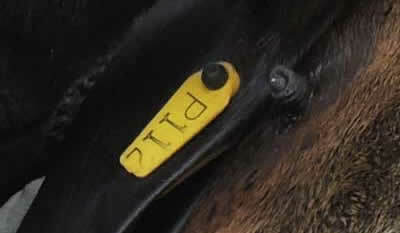 1) and pup tagging was initiated there in 2010. Tagging takes place each fall, and re-sighting with high-powered optics and photography occurs during the first 2 months of pupping season each summer (July-August). Re-sighting effort was recently extended into September, when many juveniles tagged as pups reappear at the rookeries. Figure 2a. Tag types applied to northern fur seals on the Pribilof Islands. 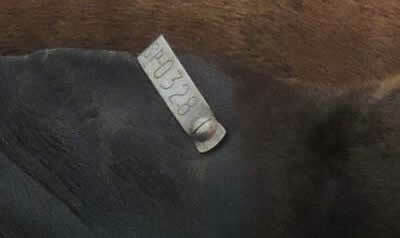 Pictured above: Allflex “narrow” sheep tag (AN). Figure 2b. Allflex large tag (AL). Figure 2c. 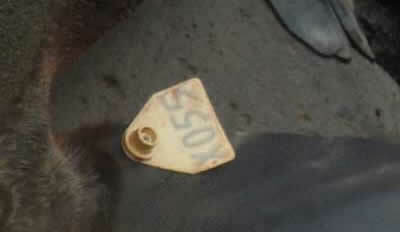 Monel metal tag (M), National Band and Tag Co. Figure 2d. Dalton Superflexitag (DS). Reproductive rates were estimated as the proportion of fur seals with a pup among the non-pup tagged sample. 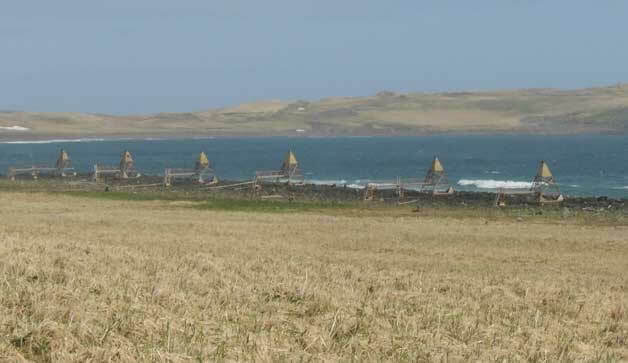 The mean annual reproductive rate at both islands was 0.84 (SE=0.01, range=0.79-0.89). With such high rates, low adult reproduction is unlikely to be the cause of the current population decline. Reproductive rates are within the range expected for population stability, and the potential biases in these estimates are small due to the very high probability of re-sighting each year. Survival and probability of sighting were estimated with the package “marked” in R statistical software, using Akaike’s Information Criteria for model selection. From 2008 to 2012, estimated adult female survival at St. Paul was 0.77 (SE=0.014) and from 2009 to 2012 it was 0.79 (SE=0.015) at St. George. Annual probability of sighting ranged from 0.86 to 0.97 at St. Paul and has been close to 0.99 at St. George since 2011. Apparent adult survival is lower than needed for population stability but is confounded with permanent emigration, which has not yet been estimated. Tagged pup cohorts have not reached recruitment age (4-8 years), so preliminary estimates of juvenile survival are not considered reliable, as yet. Good survival estimates are notoriously difficult to obtain in marine mammal studies. At the outset, we recognized two important uncertainties: tag loss and permanent emigration. Little information was available on the retention and readability of flipper tags on northern fur seals, so many types had to be tried and evaluated (Fig. 2). Tables 1 and 2 describe tag retention by adults at the Polovina Cliffs rookery and by pups tagged at the South rookery in 2009. 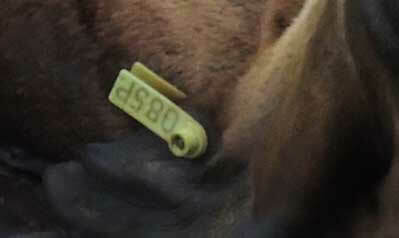 Of the tags tried, Allflex “narrow” sheep tags (AN) (Fig. 2a) performed the best and Dalton Superflexitags (DS) (Fig. 2d) the worst, but the probability of losing both tags was relatively low even in the worst case (pups with DS tags). Differences in estimated tag-loss rates and patterns between sites suggest that rookery substrate is a key factor causing tag loss; AN tags present the lowest under-flipper profile with less chance of catching on rocks. DS tags also begin to become unreadable after approximately 5 years. We now tag exclusively with AN tags.